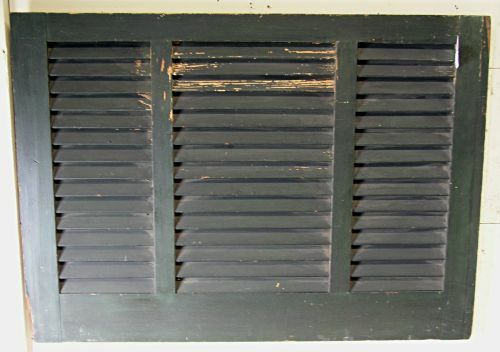 Painted wooden louvered fire board with crusty Windsor green surface. Has beveled side edges to fit fireplace held on with early square nails. 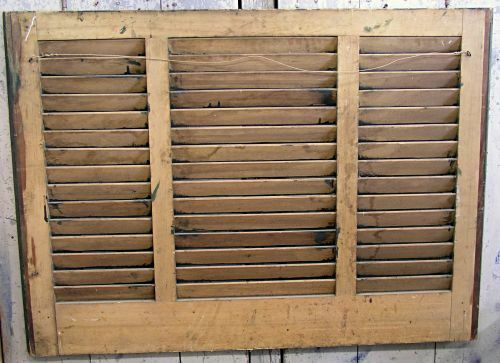 Great condition with only very minor paint loss and no broken louvers. Dimensions: Measures 30 3/4" tall x 42 3/4" outside edge and 41 3/4" inside edge.